Took my 2017 Dodge Ram 3500 Cummins Diesel in to get some work done(for the first time) to this dealership. Was treated quite well and with lots of respect. They were polite, never condescending, nor patronizing. The work was scheduled for 3 hours but they completed the work in two hours and contacted me quickly to advise vehicle was ready for pickup. Caleb and Dirk in the service department were helpful and easy to talk to about repairing my truck.Will definitely consider using this dealership for any future work needed on my vehicle. Service was exceptional! Updating my original review as this causes for it. 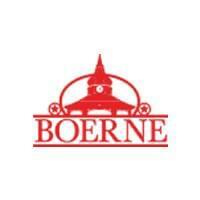 I was becoming very frustrated with my car purchase but Boerne Dodge takes care of their customers. If they are at fault in any way they will do their due diligence and do what they can to take care of their customers. I couldn’t ask for anything more. Great dealership with great people. Great service. Paul was wonderful. I got the car I wanted. I don’t have any complaints about the purchase. They got me out the door fast. Told them I need to wait for it and they did a great job getting it done fast. Very nice waiting areas and friendly staff. This was easily the best and organized buying experience I have ever had. I wish all could experience the same. I would highly encourage any and everyone interested in a Ram or Jeep to make their purchase at Boerne Dodge. The service and customer care goes beyond any reputable dealership in south Texas. I went to the dealership just wanting a truck. When I went I saw the truck from online and it was nice but they then showed me another which was very nice and a little more pricey. Well we tried and the numbers just didn’t work out so I had to stick to the first. Well the Payments at first would’ve been too high. So I was about to walk out and just not get anything. Well the dealer and salesman pushed and got the payment exactly where I wanted it. Outstanding service I called close to closing spoke to the manager for quite a while way past closing time to help find the right truck for me. After 3 weeks for not being able to go I was finally able to get some time of work to close the deal . Never in that time were they pushy, they were always willing to work with my schedule and help me find the right truck for me. I would highly recommend to anyone that wants to find a truck at a great price off a dealer that cares for the consumer. If you’d like to see a vehicle in person, give us a call or check it’s availability by requesting an instant price quote. We look forward to serving you!